Leader, come and sit at the feet of Jesus. Come and listen to him and be restored in hope and joy as you feast afresh on the gospel goodness he has to offer you. 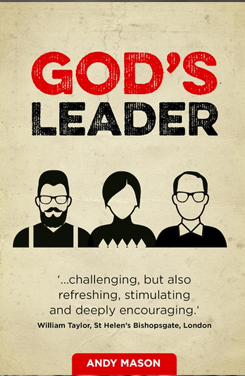 Andy Mason writes with a pastor’s heart and from his own experiences of leadership. He knows first-hand the struggles that spiritual leaders face and he is convinced that a deep knowledge of gospel truth is the most important thing we need to keep going. Andy helps us digest several key Bible passages and holds out a glorious message of hope that will encourage us however we feel our ministry is going. This book will provide a helpful antidote to self-sufficiency for anyone in a leadership position.